A number of major players in the industry, including RIM, Motorola, Nokia and Apple were battling over a new nano-SIM design but it looks like ETSI, the industry group in charge of SIM standardization, has finally settled on a design. 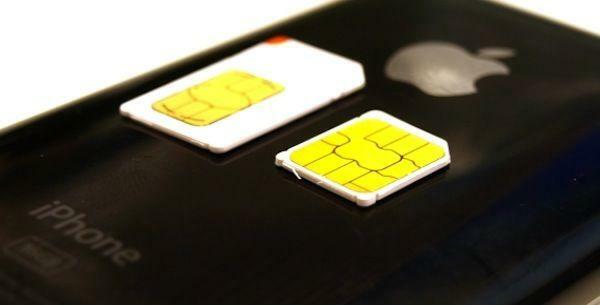 ETSI announced on Friday that it has standardized a new SIM form factor that is 40% smaller than current SIM designs. The new SIM will measure 12.3mm x 8.5mm x 0.67mm and will be backwards compatible with designs that are used today. It will also offer the same functionality. "The new form factor was adopted by industry with the involvement of major mobile network operators, smart card suppliers and mobile device manufacturers," ETSI said in a statement on its website. "Nokia continues to believe that the selected nano-SIM proposal is technically inferior and not suitable for a number of applications, but the ETSI Smart Card Platform Technical Committee has now made its decision. Nokia believes that the existing micro-SIM (3FF) will continue to be a preferred option for many manufacturers and devices and so ultimately the market will decide whether 4FF is widely adopted. "As Nokia believes that ETSI has taken steps to address Nokia's original concerns over the standardization process, we have advised ETSI that we are prepared to license any Nokia patents which are essential to implement the standard, on FRAND terms." Nokia allegedly believes ETSI has decided on Apple's proposed format, although ETSI has not yet confirmed that.